Sleeping disorder denotes problem in sleeping for a longer time which happens due to many physical, psychological and environmental factors. If difficulty in sleep exists for the shorter period then it’s not a big concern but if this problem exists for a very long time then it is a medical emergency situation which needed proper treatment immediately. However, there are some effective home remedies to relieve sleep disorders problem. 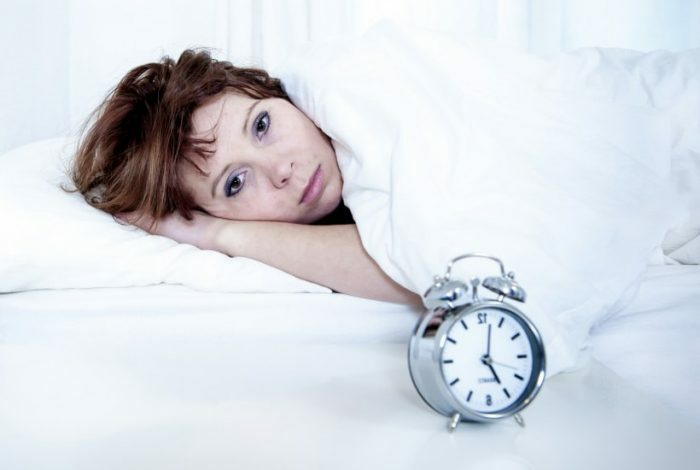 Discomfort sleep or insomnia is getting a common health concern around the world. The regular work stress, relationship problems, dissatisfaction, failure in one’ s life generally becomes the root cause of sleep disorders which affects the overall health of the concerned person. People who get affected by sleeping disorder feels restless throughout the day and don’t feel energetic in the lack of needed rest and peace in mind. This also affects their regular work, personal life, and emotional behavior. If this health condition lies for a very long time then it can cause some severe mental and physical health issues like depression, mental disorder, anxiety, body pain etc. No one in this entire world is stress-free. Everyone is suffering from small to big problems in their regular personal, social and professional life. These factors are quite likely to affect ones sleeping habit if everything is not working as per one’s desire and expectation. If the continuity in normal healthy sleep exists longer than a week then it denotes sleeping disorder health issue. 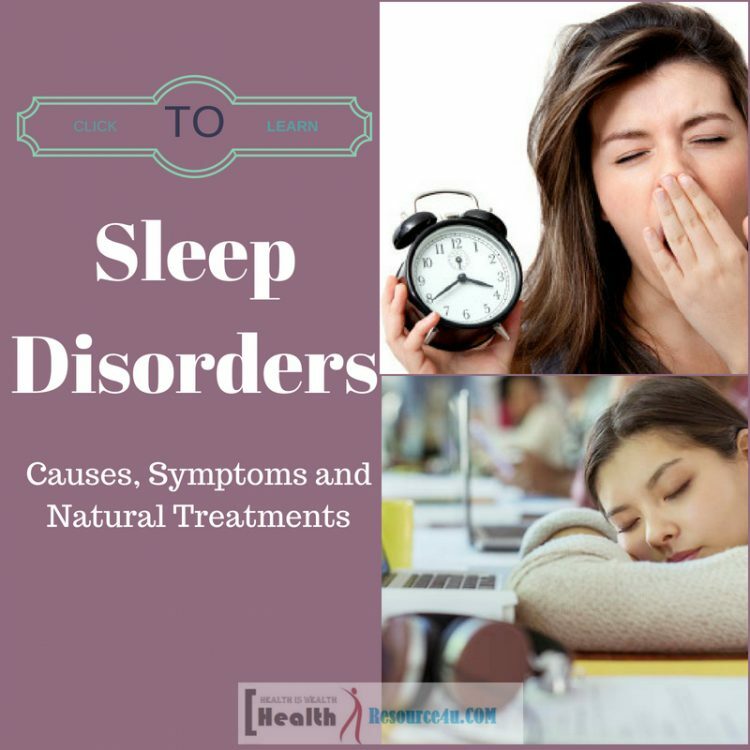 Below are mentioned some primary causes of sleep disorders issue. Some kind of occasional or frequent allergies like cold and cough causes difficulty to have normal breathing during the night and this nasal problem causes a problem in sleeping especially in night resulting in the sleeping disorder health problem. Asthma which is one kind of respiratory health issue also causes to the sleeping disorder. The nose gets block causing difficulty in respiration and this effect on your normal and sound sleep. It is quite obvious that if someone suffers through some kind of chronic body pain then it will affect their sleeping habit too. Even if someone manages to fall asleep the pain in the body can break their sleep in the midnight when its severity increases. There are many physical health conditions which cause cramp in different body parts which indirectly affect to your sleep resulting in sleeping disorder problem arises. This chronic pain can arise due to a continuous headache, arthritis, continuous lower back pain, fatigue syndrome, inflammatory bowel disease, fibromyalgia etc. Sometimes the sleeping disorder problem itself causes to body ache like fibromyalgia is very much linked with the sleeping disorder as doctors believe that this health condition arises due to lack of proper sleep or sleep disorders. In the case of Nocturia or frequent urination disturbed sleep problem arises which in the long run give births to sleeping disorder if remains untreated. When you get frequent urination it wakes up you very frequently in the night for urinating which causes difficulty in sound and healthy sleep. Some kind of imbalance in the hormonal level and diseases in the urinary tract can be the reason for your frequent urination or nocturia. This should not be ignored if it is accompanied by pain and bleeding. Medical treatment can relive this health condition and will also relive to the sleeping disorder problem. Overstress and anxiety are one of the primary reasons for the sleeping disorder. It is really very difficult to fall asleep when you are running through stress and anxiety as these mental conditions harness the peace of your mind and without calm and peaceful mind you cannot sleep. Even though you manage to sleep then also due to nightmares, sleep talk and sleepwalking you remain disturbed to have a sound and healthy sleep. 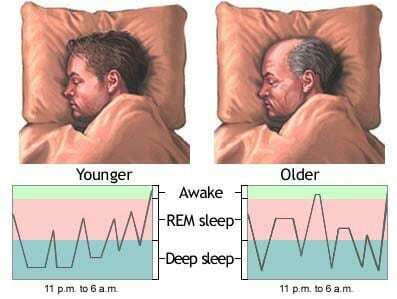 Aging has an important impact on your sleeping behavior. It is found that people crossing 60s have very less sleep with a comparison to younger age people. It is assumed that due to some kind of older age medications and due to age hormonal effect sleeping disorder problem persists among aged people. In some diseases, the prescribed medicines have an effect on your sleep and these medications can cause you the sleep disorders health problem. People who mostly work in night shift often faces sleeping disorder problem. 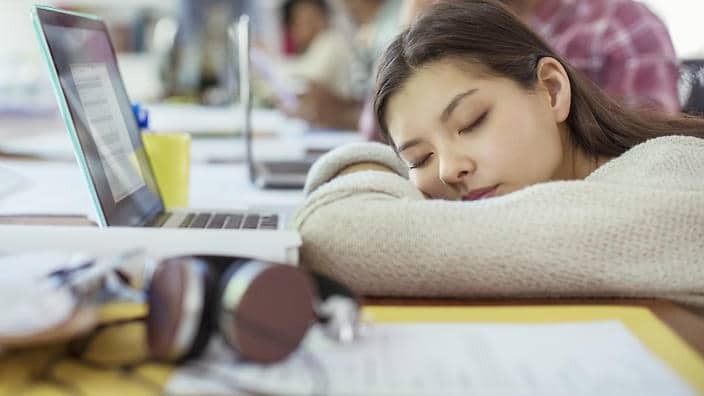 This particularly happens because their mind and body are adapted to that particular schedule so often in the night time they don’t fall asleep easily in spite of drowsiness. It is found in researches that due to some genetic disorders, people often find difficult to have a sound sleep during the night. The sleep disorders health concern is divided into different types depending upon its signs and causes. So different disorders occur due to different-different reasons and according to that their signs or symptoms also vary which are described below. Insomnia is a kind of sleeping disorder whose symptoms include difficulty to fall asleep or stay asleep longer, early wake-up habit which is accompanied by tiredness and fatigue during the whole day. The insomnia effect is seen in the daytime also which includes irritation, anxiety, lack of concentration, lose memory, impaired social interaction, fatigue feeling which often calls for a vehicle accident in the lack of concentration and fatigue feeling. A person suffering from DSPS couldn’t fall asleep before 2 A.M. in the night and stay tired throughout the day also the feeling of drowsiness remain constant in the whole day. A person suffering from RBD often react in their dreams such as they scream kicks, punches, thrash, and starts walking and sit up in the bed. Often they harm themselves with their actions and sometimes they make injured to the person sleeping next to them. Narcolepsy is one of the most terrified sleep disorders. The person suffering from this can fall asleep at any point of time in a day irrespective of any place and time. Throughout the day they feel tired and even in the middle of a conversation, they can fall asleep for few minutes to a half hour. People also experience sleepwalking, act out of the dreams and hallucinations. Some people also experience sleep paralysis in which the affected person becomes unable to move temporarily while waking up or falling asleep. The symptoms of sleep apnea include difficulty in falling asleep or staying asleep, waking early, lack of sound sleep, loud snoring, drowsiness in the daytime and wakes up with the dry throat and mouth. The symptoms of night terrors include intense nightmare for 2 to 3 hours which is accompanied by screaming, sit up in bed, yell, and thrash around, fast breathing and sweating. Often patient of this kind of sleeping disorder makes injured to themselves or to their bedmates. Sleep disorders can be chronic if it is not treated on time as this can badly affect to your mental as well as physical health. However, with the help of some natural remedies and with some changes in your regular lifestyle you can get rid of this health concern completely. Some effective home remedies are described below. A stressful mind is quite obvious to get difficulty while falling asleep and stay asleep soundly. Stress plays a most important role in causing a disturbance in sleep which in the long run take the form of sleep disorders which hampers your overall health. The best natural treatment that you can give yourself for treating your sleeping disorder problem is by avoiding your stress or tension. Do the things which can divert your mind from reasons of stress, keep yourself engaged in some work or in any game or any other thing so that your mind doesn’t remain empty causing stress to fill it fully. As early as you will be able to manage your stress, your sleeping disorder problem will start to be relived and hence you can fall asleep on time and also will get rid of the associated problems of this health issue like day drowsiness, tiredness, body pain etc. Make sure the room and place where you are sleeping are quite peaceful and comfortable to fall asleep. In the lack of sleep-friendly environment, a problem of the sleeping disorder is quite natural to occur. A calm and peaceful environment is important in order to ensure sound and long hours of sleep. For making a sleep-friendly environment ensures that all ventilation and windows in your room are properly covered with shade. Keep all light bearing gadgets off and away from your reach during the night as these gadgets often sound for different notifications and alerts which can disturb your sleep in the night. The bed and its accessories such as mattress, pillow impact a lot to your sleeping quality. Too much soft mattress or tight mattress, uncomfortable pillow for head and worn out bed all together creates an unhealthy sleeping environment. So for getting rid of sleeping disorder problem you should often check to your mattress quality, change your pillow if it is uncomfortable for you. In this condition, osteopathic manipulative therapy is considered very effective. Only one or two sessions can improve your sleeping behavior and you can get rid of your sleep disorders issue slowly. If you have a habit of sleeping in the afternoon time then immediately avoid it as sleep in this time affect your sleep during the night. Many people feel a decrease in their energy level in the noontime which depends upon many factors. By implementing some changes in your food and morning habit you can get rid of your afternoon time drowsiness. If you lunch contains lots of carbohydrate-containing food then this can affect your energy level. So make sure that your mid-day meal contains a proper balance of protein and carb-containing foods. Avoid the consumption of processed and refined foods and the foods containing heavy sugar. Instead eat healthy foods that can stimulate your energy level such as healthy snacks, fruits etc. You can move around for a little while for giving a spike to your blood circulation. Do some exercise in the morning time as this will keep you energetic throughout the day and will also keep away afternoon drowsiness and the feeling of fatigue and tiredness. You need to control your mind first in order to fight with the sleeping disorder health issue. Until and unless you will not control your mind you cannot do anything. In this regard, the first thing that you should do is to maintain your sleeping time. Be very particular to sleep early and at a fixed time in the night no matter whether you are falling asleep or not. In the initial few days or few weeks you will not fall asleep as soon as you go to your bed but slowly this trick will work for you. Keeping everything aside just go to your bed for sleeping at the same time and don’t keep yourself busy at this particular time in anything else. These changes in your daily lifestyle will definitely be helpful for you to get relief from sleep disorders problem. Usage of gadgets and its applications before few hours of sleep during night time now becomes the biggest concern which affects to normal and sound sleep in the night. For a healthy person, 6 to 7 hours sleep is necessary in order to lead a healthy and diseases free life. 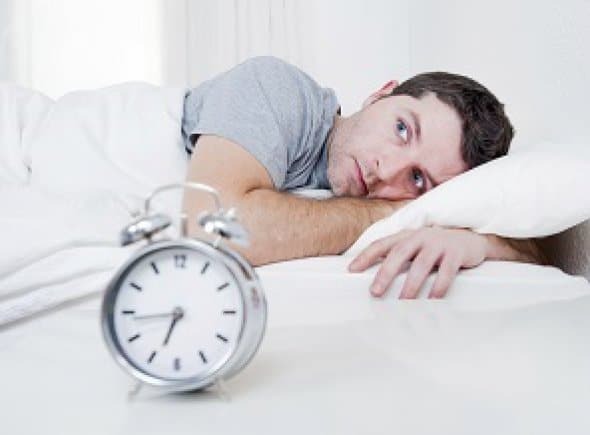 Often people only sleep for 4 to 5 hours which in the long run causes sleep disorders issue. Exercise is the key to living a healthy life as it keeps you energetic by stimulating your blood circulation and bring relaxation to your muscles so ensures sound and long hours sleep in the night time. Do exercise every morning if you are affected by sleeping disorder problem. Meditation is a natural way to give relaxation to your mind as it soothes and calm your mind and provides peace to it which is the vital element for sound sleep. You can do meditation at any point of time in a day as per your suitability. 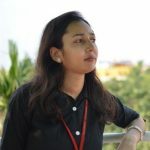 This will also improve to your concentration level and for improving your memory also it is helpful which gets affected due to unsound and less sleep in the night time. Try these natural tips as well as home remedies to relieve sleep disorders issue of yours. Nothing is possible in few days, so be patient while following these healthy habits. This will surely bring a reduction in your sleeping disorder problem and will also improve your overall health.